Cast from a real cracked chicken egg, this pendant features a a glossy shiny silver shell outside and satin finish inside. A real conversation and statement piece. Perfect for the art gallery buff. The leather cord contributes to the rustic feeling. All pieces are wrapped and shipped in secondhand materials. Thank you for supporting my efforts to be eco-friendly! Piece No. 1 of the Organic Collection. 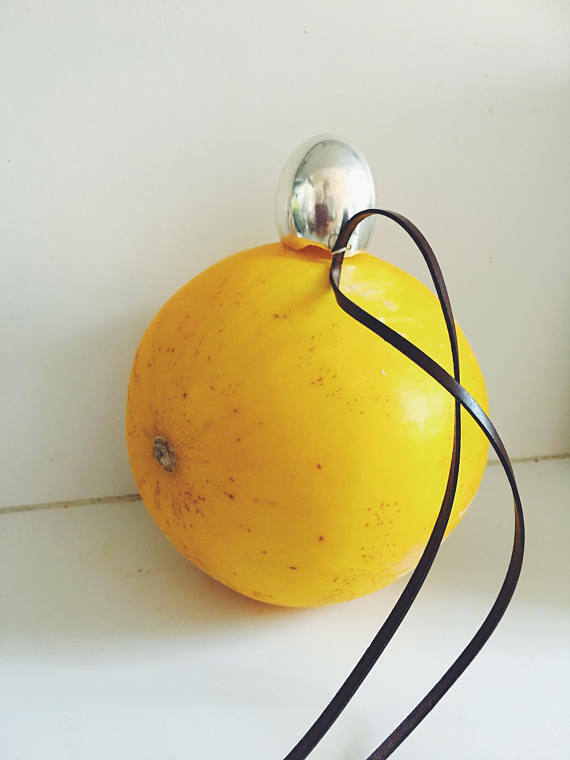 The Lemon Wheel Medallion Pendant is cast from a real slice of lemon, a rendering in a new material brings to relief the symmetry and harmony of this natural object. The focus has shifted from function to form. Lemons used to be one of my favorite fruits, like most kids I was probably fascinated how something so deliciously unpleasant made its way to so many sweets. Lemonheads, lemon drops, lemonade, I even sucked on lemon wedges meant for the grilled salmon or grownup cocktails, until everyone berated me for ruining my teeth enamel. Or maybe I just have a lower tolerance for sourness now. In high school I made a version out of a dehydrated lemon glazed in resin, inspired by potpourri. I was also obsessed with dried organic matter, like flowers and leaves and lemons of course. If you pluck a flower it wilts in moments, but there’s a way to preserve it so that it lasts forever, even if it’s only a semblance of its former self. Rough Heart Charm. Stay tender, even when roughened. A chiseled heart that looks like it's been dropped a million times and yet, it's still a heart, a beautiful heart. Perfect gift for the soul that's been through everything, including you. 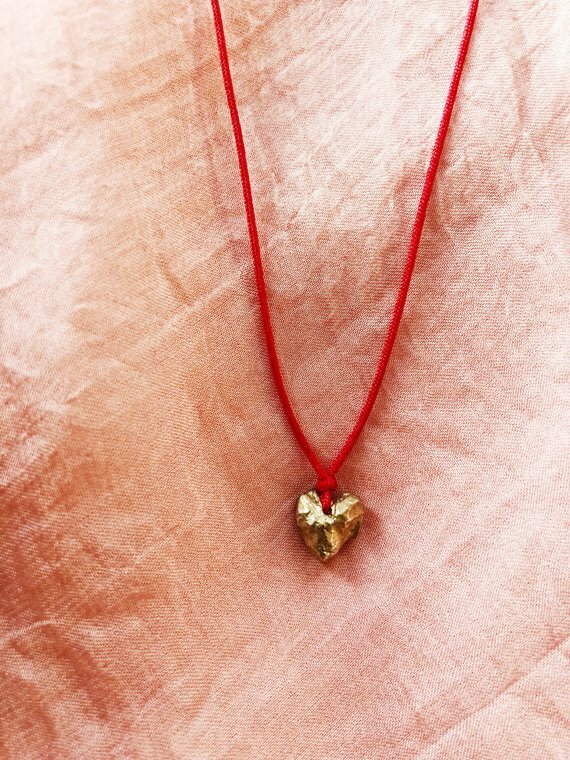 Tumbled yellow brass heart strung on a adjustable bright cherry-red cord. Wear as a necklace or tie it as a bracelet. In Chinese culture red corresponds to the element of fire. It symbolizes good fortune and joy.